Gov. Paul LePage speaks with reporters Aug. 14, 2013, outside the State House. On Friday, LePage announced that the statewide civil emergency he called in response to the federal government shutdown is over. AUGUSTA, Maine — Gov. Paul LePage announced Friday afternoon that the statewide civil emergency he called in response to the federal government shutdown is over. A Democratic legislative leader applauded the move, but criticized LePage for keeping the emergency in place after the shutdown ended. LePage declared a civil emergency by proclamation on Oct. 9, eight days after the federal government shutdown began Oct. 1. He said at the time that it was a precautionary measure to help him blunt the impact of the shutdown on Maine. Earlier this week, after negotiations with the Maine State Employees Association, which represents 13,000 state workers, LePage used his authority to lift the requirement that laid-off workers collecting unemployment benefits search for new jobs. LePage also directed State Controller Terry Brann to identify areas in state agencies where workers could have been temporarily assigned to new tasks in order to maintain state programs and services had the shutdown endured into a third week. The federal government shutdown ended Wednesday following a deal between Congress and President Barack Obama to temporarily extend the nation’s debt ceiling until Feb. 7, 2014, and pass a continuing budget resolution that funds federal programs until Jan. 15. 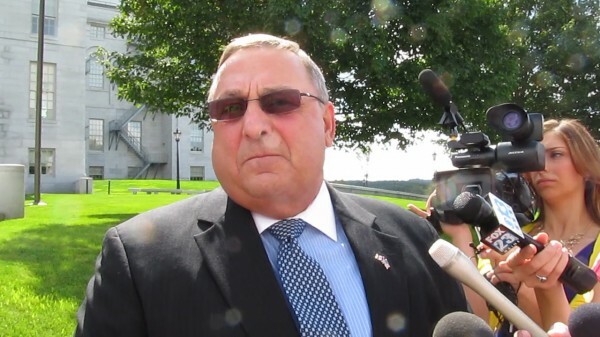 LePage was criticized over the past week by Democrats and union officials who questioned why he needed the additional authority under a civil emergency, though some said the governor’s actions were justified, which no other U.S. governors claimed. In a written statement Friday afternoon, LePage thanked state workers. LePage spokeswoman Adrienne Bennett said that LePage is not required to issue another proclamation to end the civil emergency because under state law, civil emergencies end when the circumstances that created them are no longer in place. More than 2,700 state employees are paid to some degree with federal funds and there are numerous federal programs that affect Maine citizens directly. Bennett said all state employees have returned to work and the state has secured guarantees from the federal government to be retroactively compensated for funds lost during the shutdown.